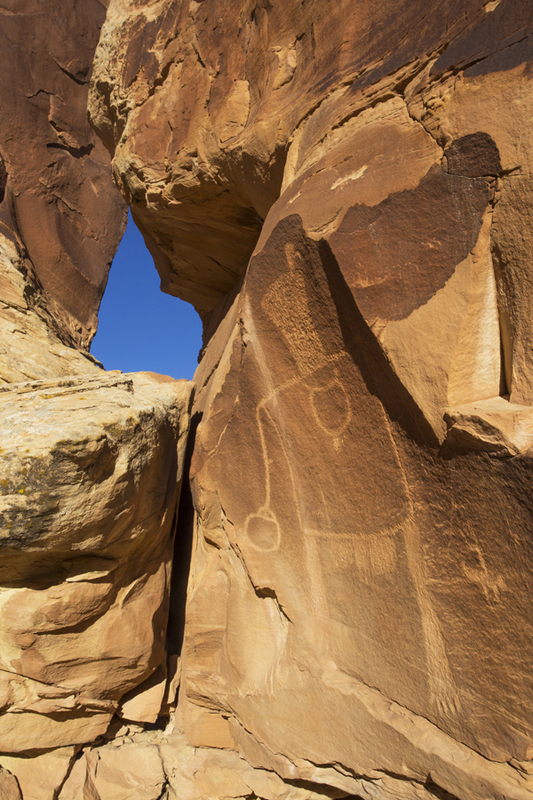 Utah “land grabbers” misread history, as well as the dictionary. America’s common ground—the hundreds of millions of acres of public lands owned and managed by the national government—has long occupied an important place in our national culture. Yet in some quarters a myth persists that the U.S. Constitution requires that these lands either be turned over to the states or private interests. Arguments for such a “land grab” were recently assembled by a team of lawyers hired by Utah’s state government. The team’s report misreads history, as well as the dictionary, and ignores or distinguishes on dubious grounds many authoritative Supreme Court decisions to the contrary. U.S. public lands grew out of a dispute dating back to the Declaration of Independence in 1776. At the time, seven of the original 13 states had indefinite western boundaries, allowing them to claim lands beyond the Appalachian Mountains. Six states had fixed boundaries, and were concerned that the other seven would use their claims to vast western lands to enrich themselves and dominate the others. Eventually, the argument that these lands had been wrested from foreign governments and Native Americans by the “blood and treasure” of all the states persuaded the seven to cede their western land claims to the new national government. All states agreed to give that government the responsibility to determine the future of these lands, including overseeing their settlement and admitting new states as settlement advanced. Ever since then, whenever the U.S. took control of lands from foreign governments and Native American tribes, Congress has exercised its “power to dispose of and make all needful Rules and Regulations respecting the Territory or other Property belonging to the United States,” the language of the so-called Property Clause of the Constitution adopted in 1787. “Land grabbers” argue that the phrase to “dispose of” forbids Congress from keeping lands in U.S. ownership permanently. But this is wrong, for “dispose of” also meant (and still means) to “arrange for” or to “husband,” as in, for example, “disposing of” nuclear waste. There is, in fact, no credible evidence that our nation’s founders intended to require the national government to divest itself of title to all of the lands it came to own, to newly admitted states or anyone else. Likewise, there is no credible evidence to support another “land grabbers” argument that the nation’s founders thought new states had to be on an “equal footing” with existing states, especially concerning federal public lands. To the contrary—the framers of our Constitution rejected a proposal that would have required Congress to admit new states “on the same terms” as existing states. Congress made generous grants of public lands to almost all the new states it admitted, but it also made abundantly clear that the U.S. retained ownership and full control over other federal lands within their borders. This made perfect political sense. The congresses that admitted these new states were composed entirely of representatives of the existing states, and they were understandably unwilling to give newly admitted states title or total control over all the U.S. lands found within their borders, because those lands had been acquired with the “blood and treasure” of the existing states. From 1790 on, the U.S. decided to retain ownership of some land inside newly admitted states, to serve such important national purposes as settling Native American claims to land, meeting military needs (including keeping some forested lands to supply wood for naval ships), and keeping and leasing lands containing mineral and salt deposits, in order to prevent monopolization of these valuable commodities. As the frontier moved westward, the U.S. began to retain title to lands for additional reasons, such as preserving scenic, inspirational landscapes, wildlife habitat, places of historic or scientific interest, and vast tracts of mostly forested uplands to protect water supplies for downstream use. The U.S. Supreme Court, in more than a dozen decisions handed down since the Civil War (almost all of them unanimous), found all such actions consistent with the U.S. Constitution. After the terrible Civil War, the court quickly abandoned Dred Scott’s view of the Property Clause. While Pollard’s narrow holding regarding ownership of the beds of navigable waters has survived, the court has narrowed it even further in modern times, by recognizing that Congress has the constitutional authority to retain ownership of such submerged lands in newly admitted states. Besides being at odds with many authoritative Supreme Court decisions, the “land grabbers” case is problematic in other ways. Utah’s team of lawyers does not come right out and say that it is unconstitutional for the U.S. to own places like national parks, but its view of the Constitution leaves it up to the states or to the federal courts—and not the Congress—to determine whether the U.S. can keep national parks, or indeed any other public lands, in national ownership. Indeed, taking Utah’s constitutional argument seriously would require the courts to confront the deeply unsettling prospect of voiding thousands of federal laws, and literally millions of land transactions, that have all been based on the long-held, widely shared understanding that the U.S. can hold title to public lands. The nation’s founders wisely gave Congress the responsibility to direct the future of the nation’s public lands, not states or unelected federal judges, and I am confident the U.S. Supreme Court would agree if asked. This is not to say that defenders of continuing national ownership of public lands should be complacent. Nothing in the Constitution prohibits Congress from turning some or even all of these lands over to states or private interests. All it takes is simple legislation. Every generation of Americans, in other words, must decide what kind of land legacy it wants to leave for future generations. As our elected representatives in the national government continue to address that question, they need to hear from defenders, as well as opponents, of public lands. EDITOR'S NOTE: The views expressed by Advocate contributors are solely their own and do not necessarily represent the views of the Grand Canyon Trust.